Ready to step it up? Test yourself with these hard room escape games created for those looking for a challenge! If you think you’ve seen it all, just wait until you attempt one of these! Here you will find the newest, best room escape games that are sweeping the nation! This compilation can only be found at Escape Room Rank! Our team of experts have worked hard to collect escape the room games just for you! Check out what they have come up with right here! You've seen hard escape games, but if they are too much for you at the time, don't worry. Here we have easy escape games that will help you get started. We're all here for the same reason: because we love escape rooms. So show your support and share this escaperoom passion with friends! 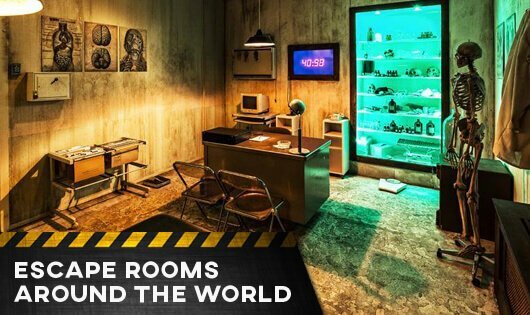 Escape Room Rank has many room escape adventures to offer you. You’ve seen our easy escape games, so now, we will show you some of the hardest room escape games. If you feel as if you have everything it takes to conquer any room escape game, then go ahead and try one of these. What makes a Room Escape Game Hard? There are a lot of things that make a room escape game hard. One of the most prominent reasons is most likely the difficulty of finding the clues needed to solve the puzzles. This is so important because it is the first step to escape the room. If you cannot find any necessary clues in the array of items then you will get nowhere in the escape room game. The next factor that plays into the difficulty of escape rooms is how hard the puzzles are to solve. If you manage to find clues to help you solve an escape game puzzle, you still need to put them together and “crack the code” of it. This is easier said than done as hard room escape games will often try to trick you with an “obvious” answer. These two things play the biggest roles in what makes a hard escape room. The rest is simply teamwork and knowing when to move on to the next puzzle! Breakout KC is so unique because not only is it one of the best escape games in the world, but its collection of rooms are are difficult. Normally, escape game venues will have a variety of easy and hard rooms. But Breakout KC offers only difficult rooms. The hardest escape room that Breakout KC has to offer is Szechuan Secret. The success rate of this escape game is 21%. In this room, two to eight players will be undercover CIA agents on a mission in a foreign country. The second hardest escape room game here is The Truman Show, with an escape rate of only 22%. It’s during the 1948 US presidential election. There is a plant with inside info on Truman’s campaign office. It’s up to your team to stop him and allow Truman his rightful win in this escape room game! Breakout KC also offers “Underground” escape rooms that are not for those with weak hearts or have a fear of small places. The intensity these add make escaping the room even more difficult. 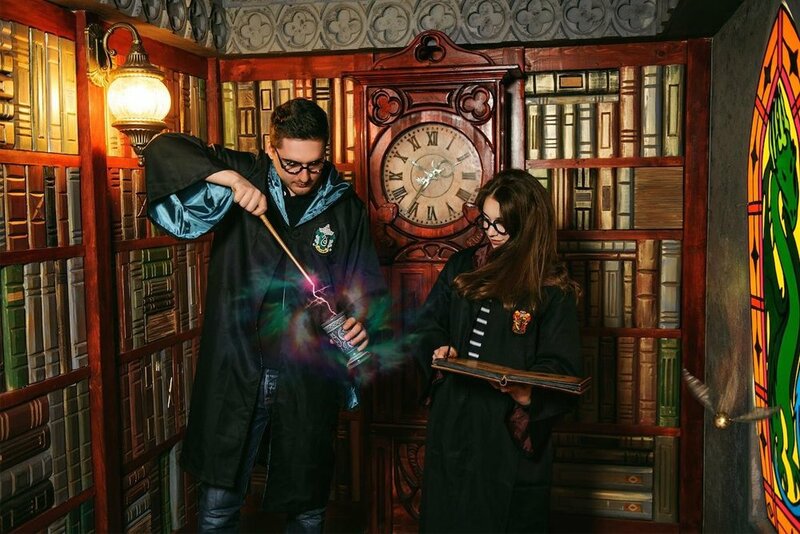 The Classroom is a new escape game at Locked In: Birmingham, the escape room venue that made the list for one of the best room escape games in the world according to USA Today. The Classroom is currently Birmingham’s hardest escape room with only one-quarter of the people escaping the room in time. In this game, you will need to escape the classroom where you have just awoken. You don’t know where you are, you just know that the schoolhouse is abandoned. When you wake up, a riddle is there to greet you on the blackboard. Not everything is as it seems, and it appears that someone knows you are there. Someone you don’t want to meet face to face. Participants rave at the exciting story and difficulty of The Classroom, but you’ll have to try it for yourself to see if what they say is true. The Basement at The Basement LA has been rated the #1 Escape Room in the USA. It is also one of the most difficult room escape games in the world. Less than 15% of groups escape The Basement in time. You group has been abducted by a known cannibal, Edward Tandy who is not only flesh hungry, but intelligent in his knowledge of electronics and…taxidermy. Unlike most escape room themes, in this one, the killer knows you are in there are in fact, it is a game within a game. Edward is testing his food in a Saw-like game. He was raised by a twisted mother who had passed away, and to honor her memory, he decides to give his victims a chance by getting rid of those deemed unintelligent. 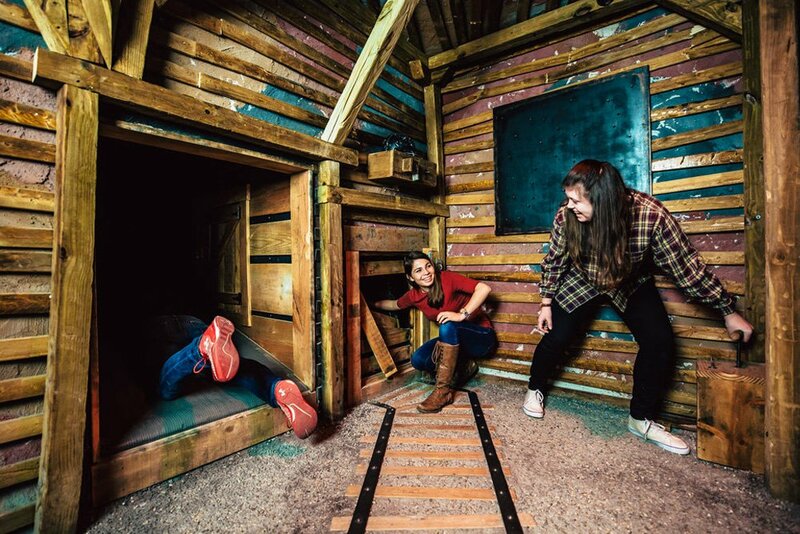 This escape room game is so intense that children are strictly prohibited and even those strong enough to take it on, should not underestimate its difficulty nor power to scare the living daylights out of you! 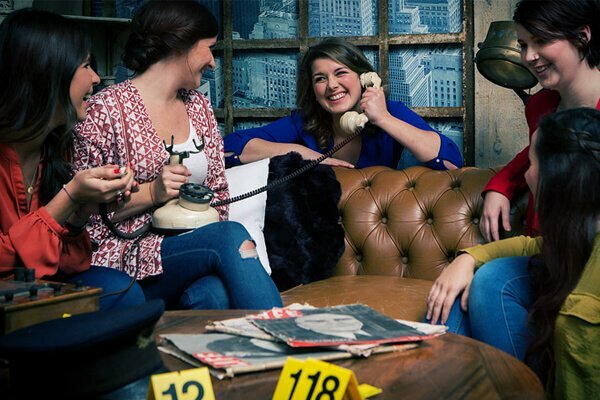 In the city of St. Louis, you will find a lesser known escape room venue that offers one of the hardest escape rooms out there. The business is called St. Louis Escape and its hardest room is called Cellar Escape. Like The Basement, in this game, you will be locked in a room by a serial killer. He leaves you there while he takes care of some business, but will be back one exactly one hour. In this game you must solve puzzles and stay away from the security cameras lest the killer makes an early return after finding out are trying to escape. This game has an escape rate of 15% and is known for its horrific themes. If you aren’t up for the horror, but still want a hard escape room, St. Louis Escape offers three other non-scary rooms, each with no more than a 25% escape rate. An escape house is made up of multiple escape rooms that you have to escape one in series. The rules for player participation are more or less similar to what you face in single escape rooms. Courtesy for others and respect for property are top of the rules, just like in real life. You will need a 15-30 minute session to be briefed by the game master. Any delays on your part eat into your time, as the next group will want to start their own game on time. Children below a certain age may not be admitted unless accompanied by an adult. Most establishments will require all minors to have consent forms duly signed by a responsible adult, guardian, or parent. There will be no meal breaks until the group breaks out. Food and drinks are not allowed inside the escape house. So eat and drink in advance as it may be a couple of hours before you have another chance to eat. Most escape houses do not demand athletic prowess, but you do need to be in reasonable shape. The escape house experience may not be ideal for players suffering from claustrophobia and anxiety. Shouting during play may distract other players in adjacent rooms. Once you escape, talking about the clues and puzzles may tip off the next team coming in, and that may ruin their enjoyment. Be considerate.